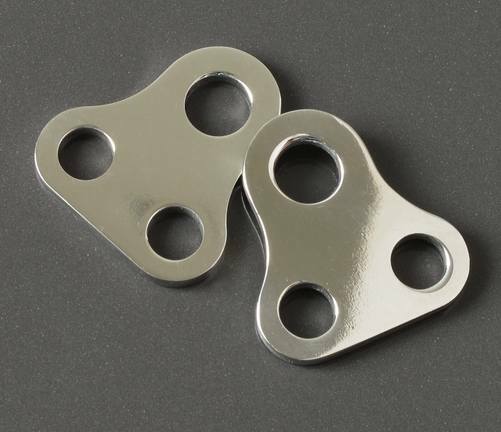 This pair of polished stainless steel brackets allow the fitment of compact turn signals to the lower triple clamp of the front forks. These are specifically for the Yamaha SR400 & SR500, but can be used on many other bikes that have 20mm on center triple clamp bolts. Such as the Yamaha XS series. Perfect for a cafe racer or custom project. Please measure yours before buying.